It is unclear whether the BBC's over-celebrated annual 'Sound of...' poll is intended to highlight the new, innovative direction in which music will be heading in the subsequent 12 months or whether it is simply an opinion on what everyone will be listening to. If it's the latter, then the saturating press coverage renders the poll self-fulfilling. The winner of the Sound of 2012 poll was Michael Kiwanuka. If you're familiar with Kiwanuka's output, then you'll be aware that it is soul folk/pop of the highest calibre, melding the burrs of his rich voice with delicate hooks and no little pathos. It's nothing new though. But the Sound of 2012 'long list' does broaden the offering somewhat. Rap out of New York is hardly a new concept but the Big Apple's hip hop scene has been resurgent in recent times and 'Sound of' nominees A$AP Rocky and Azealia Banks are heading the charge. 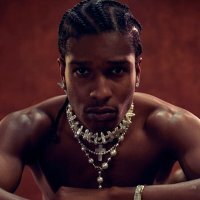 A$AP Rocky kicks off his short UK tour at London's Electric Ballroom on 5th June, followed by Birmingham's HMV Institute and The Ritz in Manchester, before the final date in Glasgow on Saturday 9th June. We'll have tickets available when they go on sale at 9am on Friday 10th February, priced £15 for the Electric Ballroom gig and £12.50 for other venues.